Kerin Galloway is the Director of Business Development & Marketing at ASE Financial Advisory Group. She began her career at ASE in 2006 as the Director of Operations and transitioned to Business Development and Marketing in 2016. Kerin is responsible for the marketing, communication, and business development efforts of the firm. 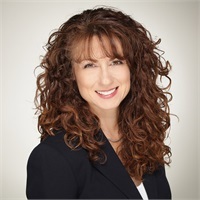 In addition to strategic business development efforts, she directs media relations, branding, advertising and website development, nurturing current and new client relationships and working closely with ASE’s President, Rusty Cagle. Kerin’s perspective and diligence play an instrumental part in accomplishing the firm’s founding mission. Her dedication, unparalleled work ethic, and commitment to excellence are qualities that continually further ASE’s culture and the financial well-being of our clients. To Kerin, ASE clients are more than a part of the business; they’re like extended family. Prior to joining the firm, Kerin worked for Tidy Building Services, Inc., in New Orleans. Following Hurricane Katrina, she moved to Greenville, South Carolina before joining the team at ASE. A New Orleans native, Kerin is enjoying the friendly community of Greenville and the unique geographical landscape that the foothills have to offer. When Kerin is not engaged in professional pursuits, she enjoys weight training, creating healthy new recipes, reading, and most of all, spending time with family and friends.